Twenty three-time grand slam champ Serena Williams has been left out of the China Open tennis draw. Williams' name, along with her sister Venus, did not appear on the list of 64 players ahead of the tournament's start on Saturday in Beijing. 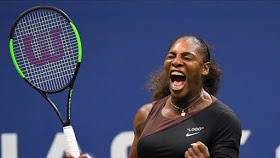 This year marks the fourth straight year the 37-year-old has declined to play in a tournament following the US Open, making it almost a routine move for her at this point. Some of the reports claim that Serena has called on the US Open.